Other IT Infrastructure reviews by real, verified users. Find unbiased ratings on user satisfaction, features, and price based on the most reviews available anywhere. Amazon EC2 Auto Scaling helps you maintain application availability and allows you to dynamically scale your Amazon EC2 capacity up or down automatically according to conditions you define. You can use Amazon EC2 Auto Scaling for fleet management of EC2 instances to help maintain the health and availability of your fleet and ensure that you are running your desired number of Amazon EC2 instances. You can also use Amazon EC2 Auto Scaling for dynamic scaling of EC2 instances in order to automatically increase the number of Amazon EC2 instances during demand spikes to maintain performance and decrease capacity during lulls to reduce costs. 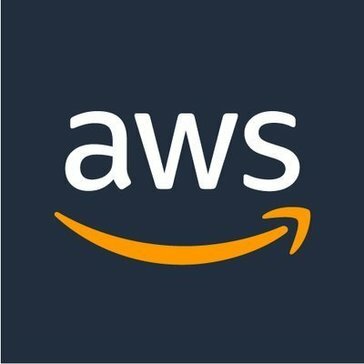 Amazon EC2 Auto Scaling is well suited both to applications that have stable demand patterns or that experience hourly, daily, or weekly variability in usage. Faronics Deep Freeze is a 'reboot to restore' software. Deep Freeze basially preserves/ locks down your desired computer configuration and settings, while providing the ability to remove any session changes, on every reboot. AWS Schema Conversion Tool is designed to make heterogeneous database migrations easy by automatically converting the source database schema and a majority of the custom code to a format compatible with the target database. The AWS Well-Architected Tool helps you review the state of your workloads and compares them to the latest AWS architectural best practices. DownNotifier sends an alert when your website is down. Movable Type is website publishing software. SIW is a tool that gathers detailed information about system properties and settings. A utility that includes detailed specs for Hardware, Software and Network as well as real-time monitors for CPU and Memory Usage. 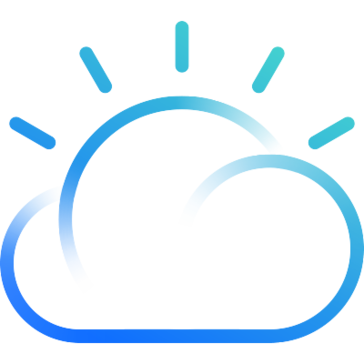 IBM® z/OS® Connect Enterprise Edition (EE) allows you to integrate z/OS based applications and data into your enterprise API strategy, across a hybrid cloud architecture. It enables you to create easily consumable RESTful APIs, with industry-standard Open API descriptions, to z/OS subsystems such as CICS®, IMS™, MQ and Db2. This common interface empowers developers and business partners to rapidly create new solutions which incorporate mission critical, IBM Z assets to win in the API economy. AWS Transit Gateway is a service that enables customers to connect their Amazon Virtual Private Clouds (VPCs) and their on-premises networks to a single gateway. CenturyLink® Business Wi-Fi is a simple and secure solution with enterprise Wi-Fi features — Paired with powerful CenturyLink network service. Improve employee and customer experiences with enterprise-grade Wi-Fi for small and medium business using our powerful network. Datafiniti is a Data as a Service (DaaS) solution utilizing proprietary technologies to automate the data extraction process and transform web pages into clean, manageable, structured datasets across business, people, product, and property databases. Our RESTful API and customer portal transforms real-time queries into instantly usable data. Drill down to the exact information you need, download data sets at your convenience, and seamlessly integrate the results with your code. We have customers and users in nearly every industry and all sizes; from startups, to SMEs and all the way up to Fortune 500 companies, who use our data to power next-generation applications and analytics. dbForge SQL Decryptor is a free database tool that allows decrypting SQL Server procedures,functions,triggers and views, which supports most versions and editions of the Microsoft SQL Server and requires no DAC connection,decrypts all object types. - Decrypt all possible object types. Stored procedures (including numbered procedures and replication filters), functions (scalar, inline and multistatement table-valued), triggers (on tables, on views, on databases, and on server instances) and views. - No DAC connection is required. Similar tools compel you to use Dedicated Administrator Connection mode to decrypt an object, which may lead to certain difficulties with reconfiguring the whole server. dbForge SQL Decryptor does not require this mode, but doesn't prohibit to use it, because you can save some time while decrypting objects in large databases. - SSMS-like Object Explorer. You can do everything in a familiar way: connect to as many server instances as you like and browse all available databases. - Syntax highlighting. A build-in text editor allows you to see the original object definition with syntax highlighting , which facilitates reading of source code. - Saving definition to file. You can save every decrypted definition to a file with UTF-8 encoding, which preserves all national characters. - Batch decryption wizard. Decrypt all or particular objects with extra convenient and simple wizard, then save definitions to one or several files, or just alter database objects in-place. Voimakas OST Recovery is a software that repair corrupted of damage offline Exchange OST file and restore emails from them as well as export all emails into Outlook PST, EML or MSG files, export emails to Live Exchange or Office 365 and recover deleted Outlook emails from OST filey to allow user to save offline Exchange emails to Outlook PST file with all email properties. Full Convert is the easiest way to convert your database. A highspeed database converter carefully engineered to efficiently handle even the largest databases. Full Convert will quickly and easily copy your data from source to the target database. It will create all the tables, copy all of your data, then create indexes and foreign keys. Application Delivery Foundation for z Systems is a suite of integrated, full-feature tools, all built on the Aqua release train. Each of these tools can be obtained individually, and have been optimized to help you design, build, test, and debug z/OS software so that you can make the most of your investment. These tools include IBM z/OS Explorer, IBM Fault Analyzer for z/OS, IBM File Manager for z/OS, IBM Developer for z Systems Enterprise Edition, and IBM Application Performance Analyzer for z/OS. Each tool contributes necessary functionalities in one interface, covering the spectrum of capabilities that programmers need to develop z/OS software. What is included in ADFz IBM Explorer for z/OS is the strategic integration platform for IBM Eclipse-based offering for z/OS application developers and system programmers. IBM Fault Analyzer for z/OS This robust problem determination tool helps to analyze and correct application failures quickly and early, increasing productivity and decreasing deployment costs. IBM File Manager for z/OS File Manager for z/OS allows you to manipulate production, test, and development data in a variety of data stores, including DB2, IMS, CICS, MQ, data sets, and HFS files. The tool also provides a set of utilities to work with data such as compare, copy, find/change, print and much more. IBM Developer for z Systems Enterprise Edition This comprehensive solution for creating and maintaining z/OS applications includes: IBM Developer for z Systems, IBM Debug for z Systems, IBM Explorer for z/OS, and added debug capabilities. This offering provides a comprehensive development and debugging solution for z/OS application developers. IBM Application Performance Analyzer for z/OS This tool identifies z/OS application performance and response time problems, and assists in reducing resource consumption. IBM Spectrum LSF redefines cluster virtualization and workload management by providing a tightly integration solution that covers both the systems management of the cluster, the prioritization of the workload, in addition to web, mobile and desktop client access to hide complexity and enhance end user productivity. Use the Workload Scheduler service to integrate your application with the capability to schedule workflows. Janet is a high-speed network for the UK research and education community. Improve agility. Reduce cost. Simplify management. Managed Network Services from IBM can improve agility, reduce cost and complexity across all your hybrid cloud, data center, local and wide area networks. We use software defined technologies, analytics and automation to integrate networks across carriers and countries for your hybrid cloud environments. Micro Focus Relativity brings the benefits of modern relational database access to COBOL applications. Micro Focus Server Automation is designed to reduce costs and increase speed by automating tasks such as provisioning, patching and compliance across physical and virtual server environments. MySQL Data Access Components (MyDAC) is a library of components designed to provide direct access to MySQL from Delphi, C++Builder, Lazarus (and Free Pascal) on Windows, Mac OS X, iOS, Android, Linux, and FreeBSD for both 32-bit and 64-bit platforms. Hi there! Can I help you find the best Other IT Infrastructure solutions?